In my family, we are usually not big celebrators of Valentine’s Day but I found these really cute heart shaped ramekins at the Goodwill and felt like I couldn’t let them go to waste. 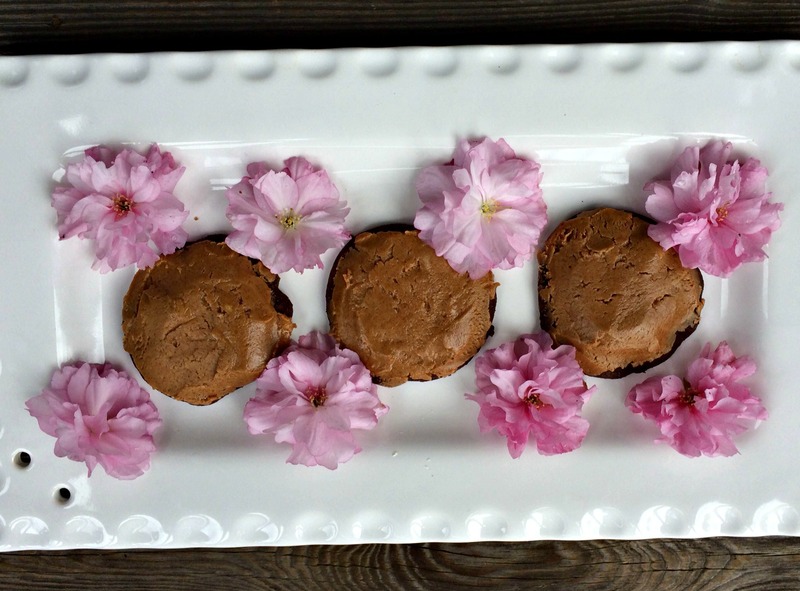 I experimented high and low looking for a tasty, but healthy chocolaty dessert to fill those adorable hearts. After I tried a chia recipe that my husband said tasted “leafy” and my chocolate loving son refused to eat, I knew my search was not over. 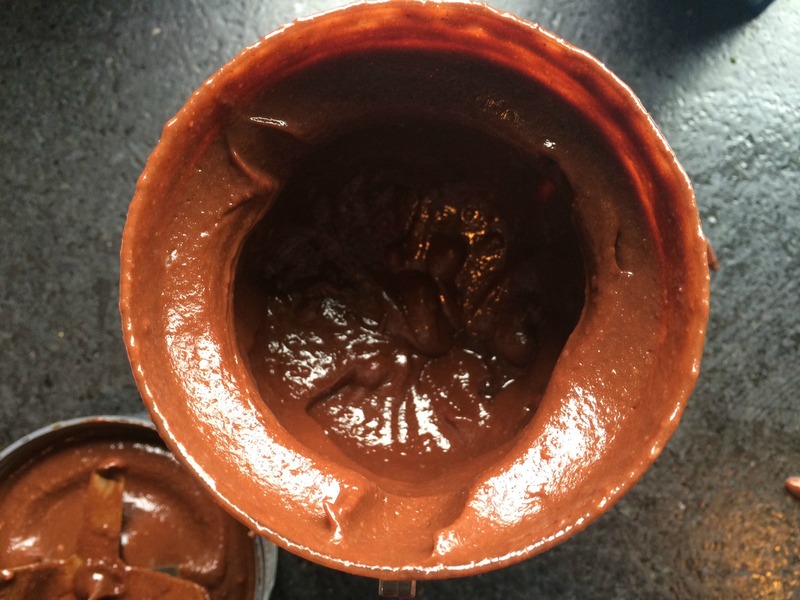 Then I remembered that while visiting Bend, Oregon in June, I had tasted a chocolate avocado pudding. After my failed chia attempt and a few other experiments that will go unmentioned, I decided to try to recreate the avocado experience. 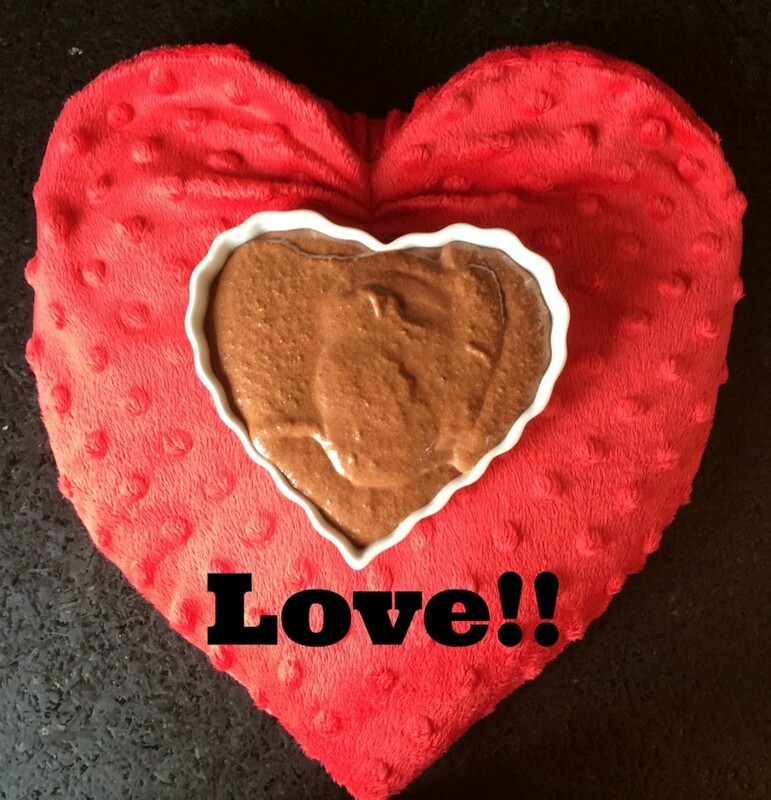 After all my failed attempts, this pudding mousse concoction came out way better than I had hoped- a little sweet, super creamy and VERY chocolaty! 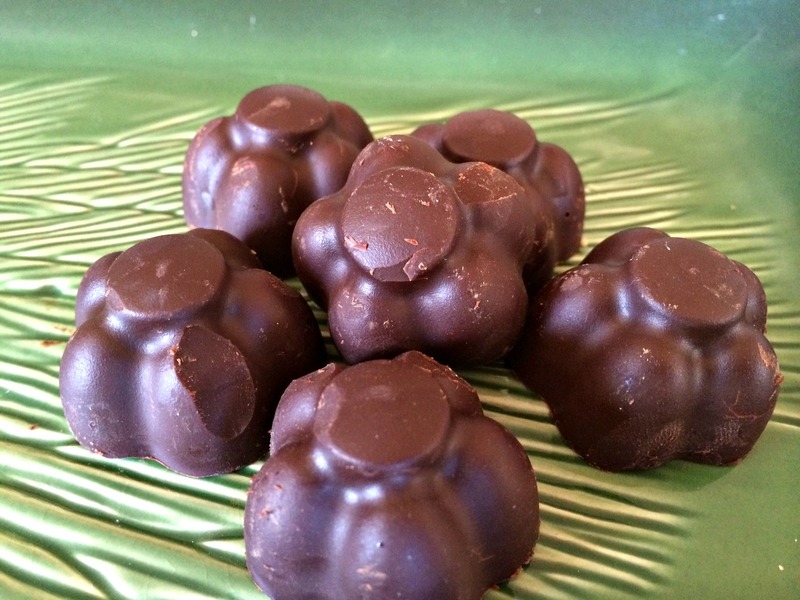 I used Navitas Naturals Organic Raw Cacao Powder to give it that amazing chocolate flavor. I love this product and use it almost every day in my Nature’s Path Qi’a Chia Buckwheat and Hemp Cereal along with a scoop of Thorne MediPro Vegan Shake- such a yummy and filling breakfast! But I digress! The bulk of this mousse is avocado. 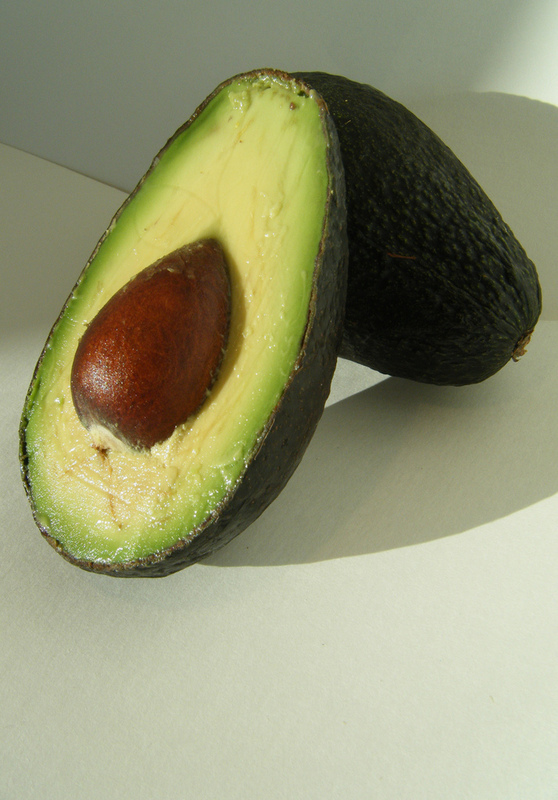 I love avocados because they are a particularly rich source for potassium, Vitamin E, folate, Vitamin K, Copper and Vitamin C. (Read more about all the benefits of avocados here). 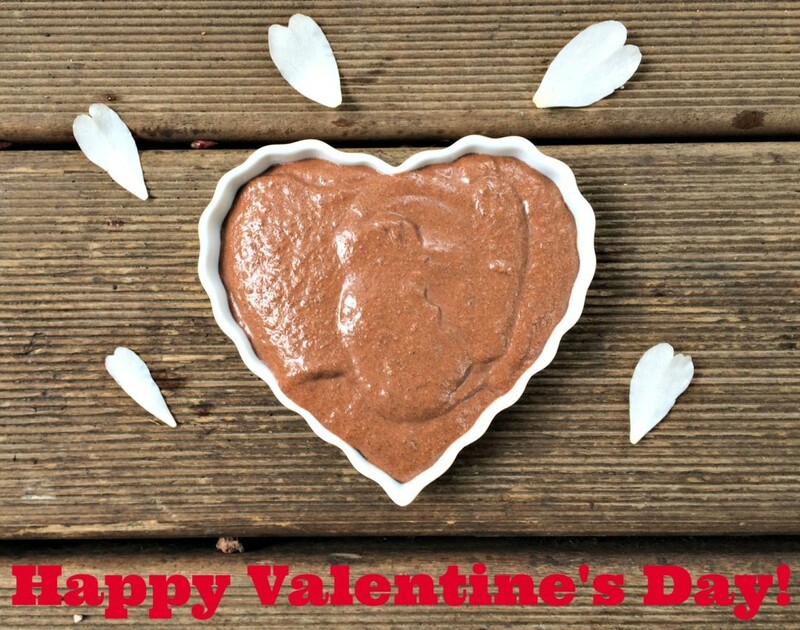 I love this mousse because it was so easy- just a few whirls of all the healthy ingredients in my NutriBullet and a few hours in the fridge and then it was ready to be devoured. Soak the dates in warm water until soft- 5-10 minutes. Drain. Put all ingredients in the blender or nutribullet and blend until smooth and creamy. Place in the fridge until well chilled. Garnish with raspberries or other fruit or serve plain. Enjoy this rich and creamy dessert! Recipe taken from Eating Well Magazine. Avocado picture from Anna under Creative Commons license. Strawberry Rhubarb Crisp with vanilla ice cream. This weekend I went to visit my in-laws near Bainbridge Island, Washington. Bainbridge has an amazing little farmer’s market with talented artisans and beautiful booths filled with produce. 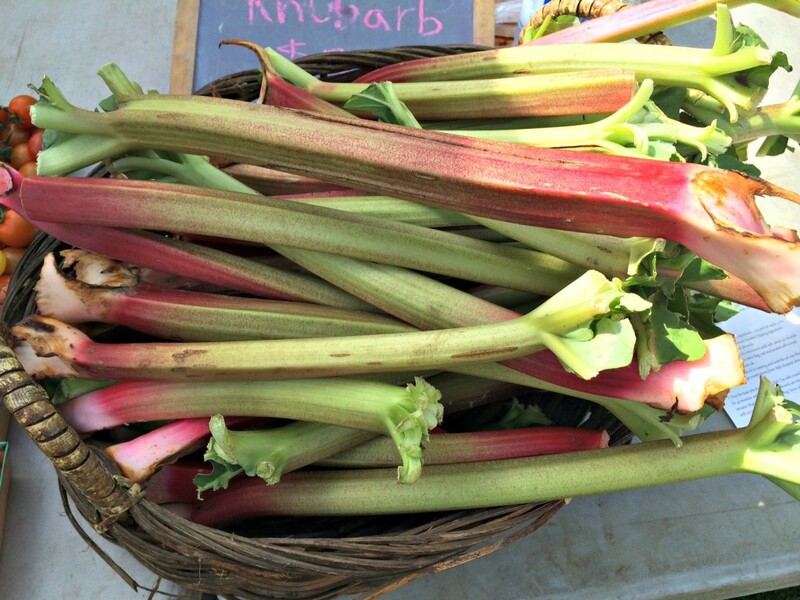 When I was there on Saturday, one of the booths was featuring rhubarb and had a recipe for a flourless Strawberry Rhubarb Crumble. Even though I had never cooked rhubarb before and had only eaten it a few times, once I sampled the crisp, I was hooked. My son, mother-in-law and I instantly decided we needed to recreate the crisp for dessert that night. Beautiful Rhubarb at the farmer’s market. There are so many beneficial ingredients in this crumble that I think you could serve it for breakfast and feel like you have started your day off on the right nutritional foot! I love when a dessert is good and good for you!! Filling waiting for the crumble topping. I think I mentioned in a previous post how much my father-in-law loves fruit desserts so he was thrilled when my son pulled this one out of the oven. Finished crumble ready for dessert. 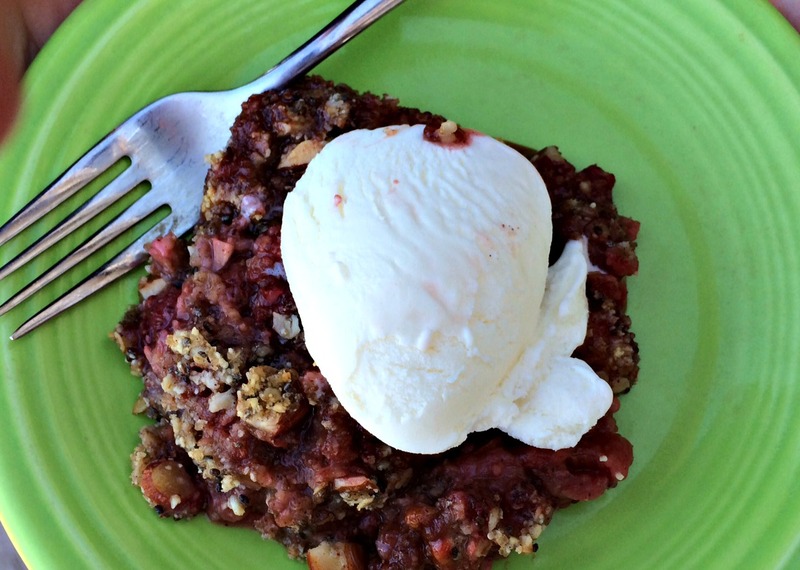 Some of us added ice cream to our crumble but if you are dairy free, it was just as good without it. In medium bowl, combine base ingredients. Mix well and then set aside while you prepare the crust. 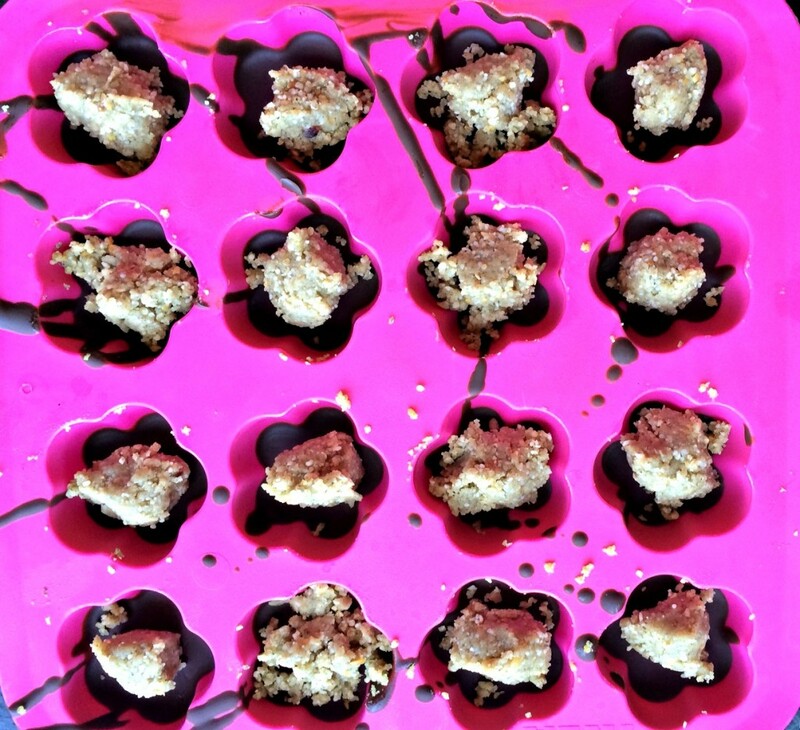 In medium bowl, mix almond crumble topping ingredients except coconut oil and crushed almonds. Warm up the coconut oil by putting jar in warm water. Add coconut oil and chopped almonds in the bowl with the crumble topping. Mix until a course crumb is formed. Pour the base into a 8 X 11 baking dish. 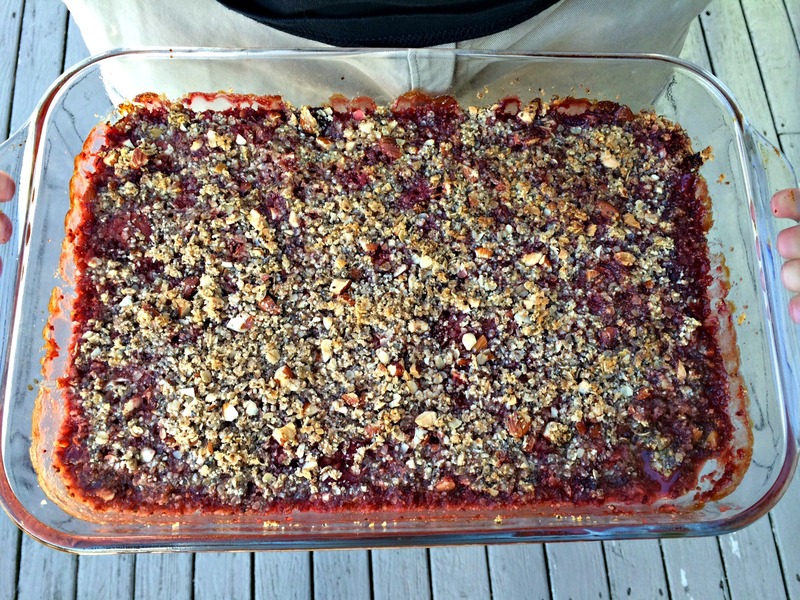 Top with crumble topping and bake until bubbling and almonds are roasted. Bake about 30-40 minutes depending on your oven. Wait 15 minutes before serving. Serve warm or room temperature and include ice cream topping if desired. Shared with Homespun Oasis, She eats, The Nourishing Gourmet, Real Food Fridays, Gluten Free Homemaker, Girl Meets Nourishment, Rock My Vegan Socks, The Novice Gardner, Food Renegade, Allergy Free Alaska and Live Laugh Rowe. 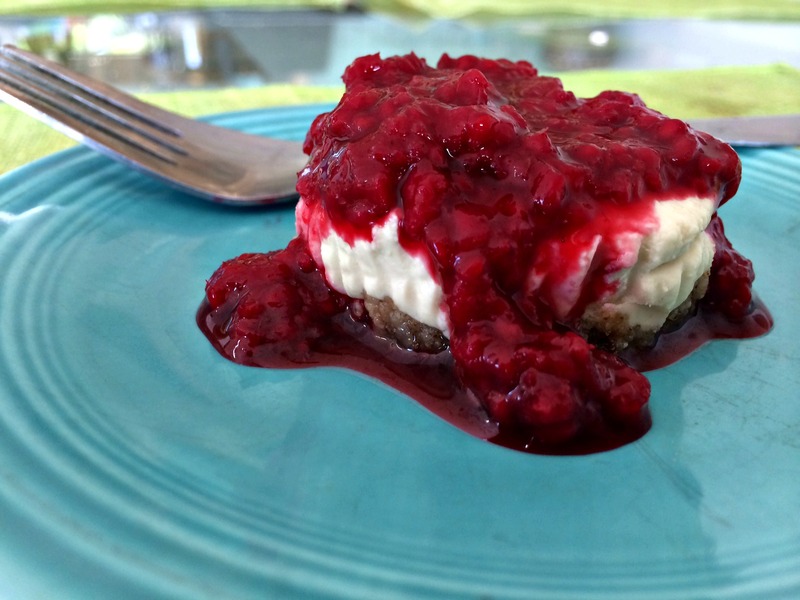 Lime, raw, vegan cheesecake with raspberry sauce. For the Fourth of July, we were headed up to the Olympic Peninsula to spend time with my in-laws. They live in a somewhat rural area on the Puget Sound. Everyone in the family loves to go up there because not only do we get to spend time with the grandparents but the area is filled with great outdoor activities. Our days are consumed with fishing, kayaking, crabbing, hiking, biking and walking on the beach. The other thing I love about going up there is all the yummy natural food. There are multiple small farmer’s markets within 20 minute of their house. The Sound is filled with fish and crab and the forest has wild blackberries and huckleberries. I love to take advantage of the natural bounty! 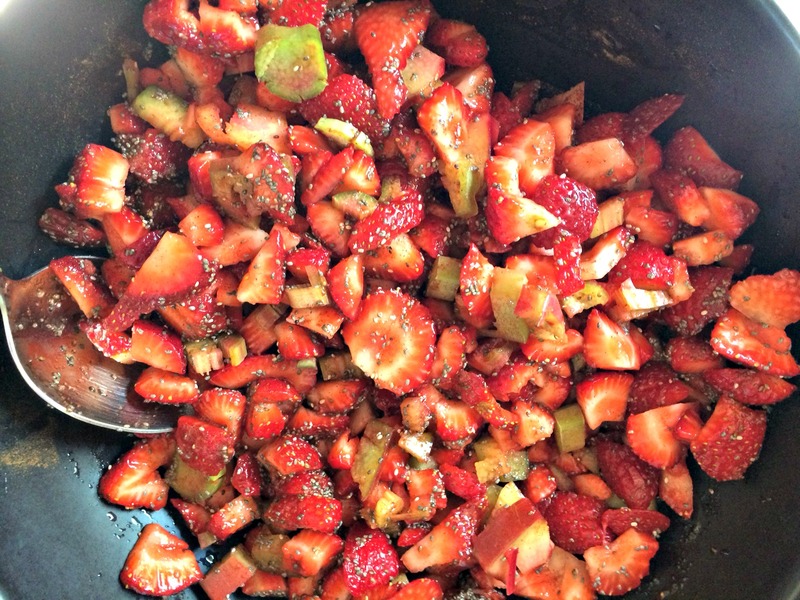 Usually, when I am there in the summer, I end up making some sort of berry cobbler for my father-in-law’s birthday. Crazily enough, he is one of the few people I know who doesn’t like chocolate so I like to try find desserts that will make him happy. 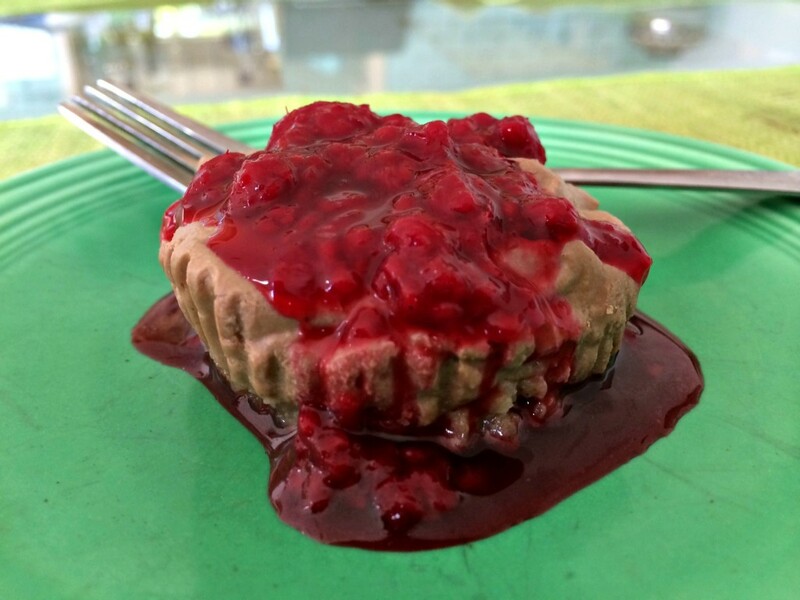 Chocolate, raw, vegan cheesecake with raspberry sauce. 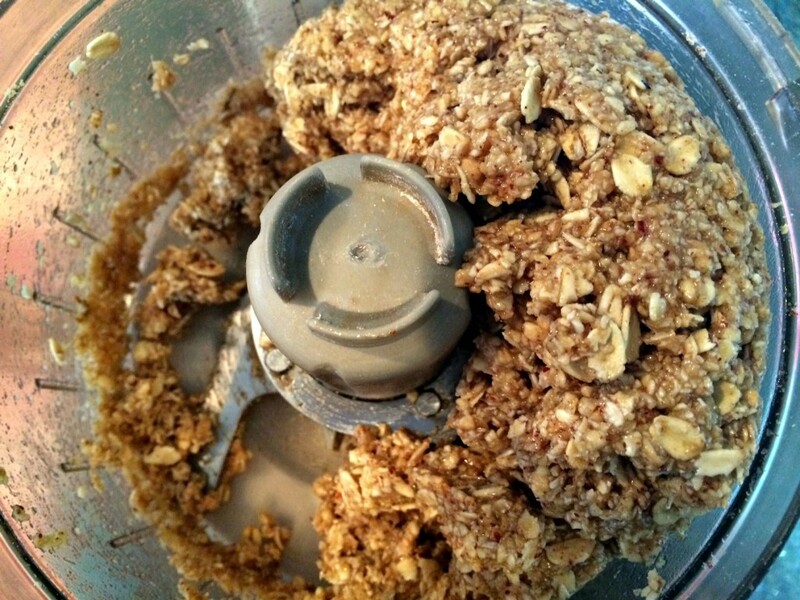 To make the crust, put all crust nut ingredients in a high speed blender or food processor. Process until nuts are small and crumbly. Slowly add dates while continuing to process nut mixture. Crust will begin to stick together. Press crust mixture into muffin tins lined with paper liners. The crust should hold together well in bottom of tins. I made two different types of cheese cake so I had to divide all the filling ingredients in 1/2. If you are only going to make one type, you can pour all the ingredients into the blender at the same time. To make the filling, add 1/2 the cashews, 1/2 the vanilla, 1/2 the maple syrup, juice from 1 lime, lime zest and 1/2 the coconut oil to a blender. Taste to see if it is limey enough. If not, gradually add more juice until it tastes as limey as you want. Once the filling tastes as limey as you like, add lime filling to half of the prepared muffin tins. 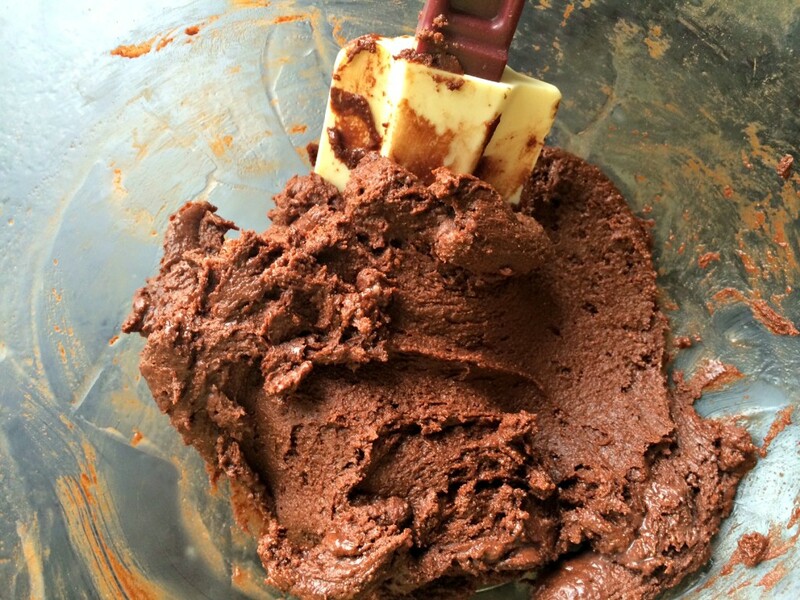 Add other half of the ingredients, plus the cacao and melted dark chocolate to the blender. If not getting creamy, you can add small amounts of almond milk to help your blender process the nuts. Taste to see if chocolaty enough. If not add more cacao to the blender. 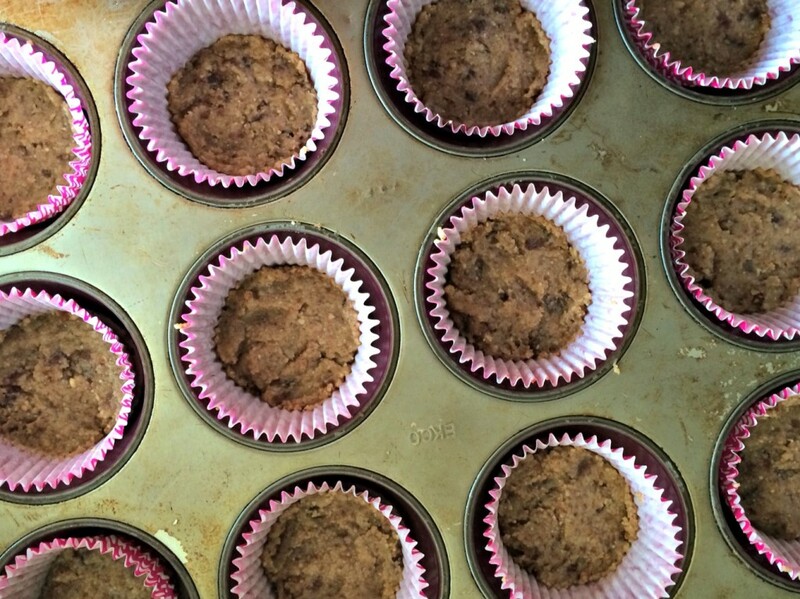 Once all the nuts are ground up, spoon filling into the prepared muffin tins. Smooth top of the cheesecakes. Place in the fridge for a few hours to firm up and then ENJOY! You can serve them with a raspberry sauce if you like. Recipe to follow. 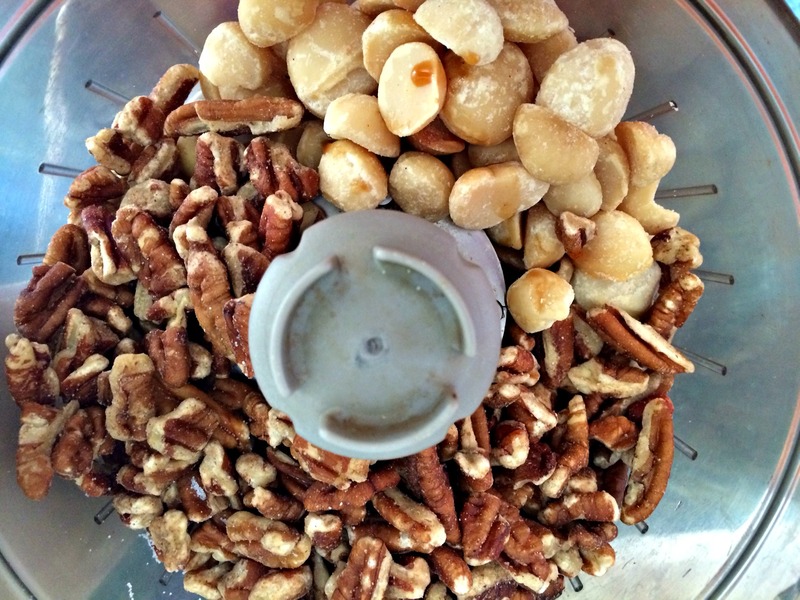 Here is a picture of all the nuts for the crust before they get chopped up. Pecans and macadamias before they become crust. Below is a pic of the nuts, processed into the crust mixture and then pressed into the cup cake pan. They are just waiting for the filling to be ready. 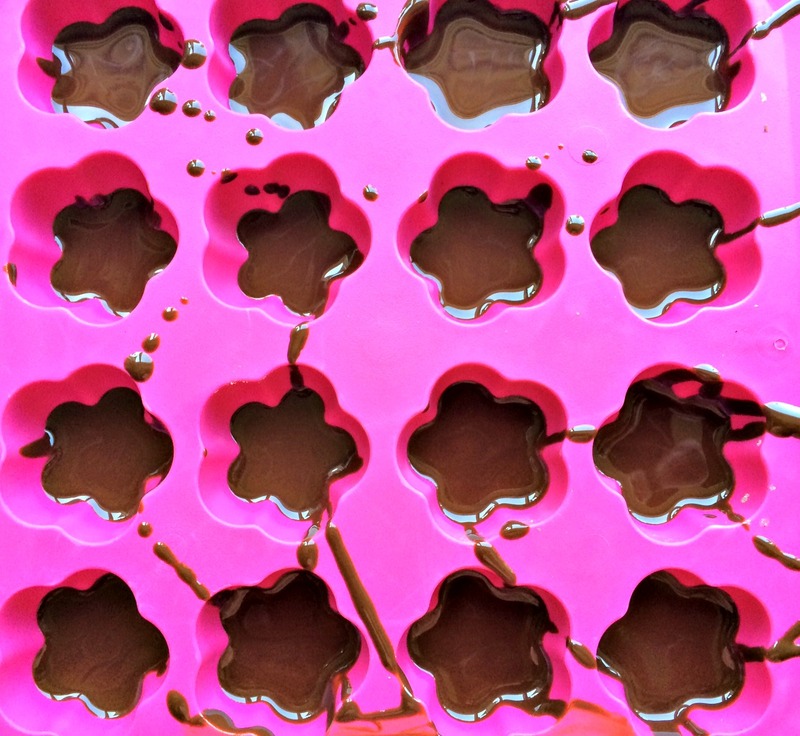 A pic of the muffin tin with the chocolate and lime fillings added. Everything is now ready to go into the fridge. 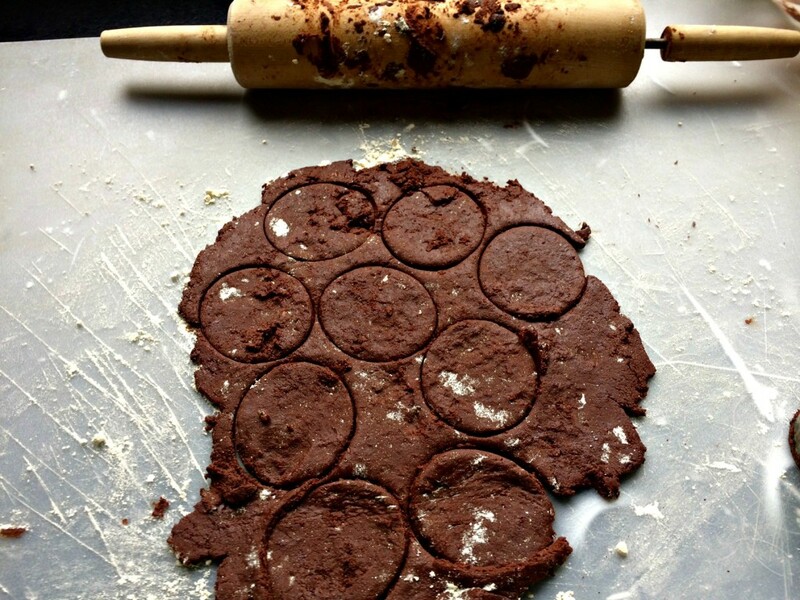 Chocolate and lime raw vegan cheesecakes. I have a crazy amount of raspberry bushes in my yard and last week the were filled with berries. I decided to use some of the berries to make a raspberry sauce to go on the cheesecakes. The cheesecakes are super yummy without the sauce but if you want to add a little extra zing, this is one way to do it. Raspberry on the vine in my yard. Put all ingredients in a pot on the stove over low heat. Stir frequently to prevent burning or sticking. When raspberries are broken down and the sauce starts to thicken, turn off stove. Put in glass jar and store in the fridge. 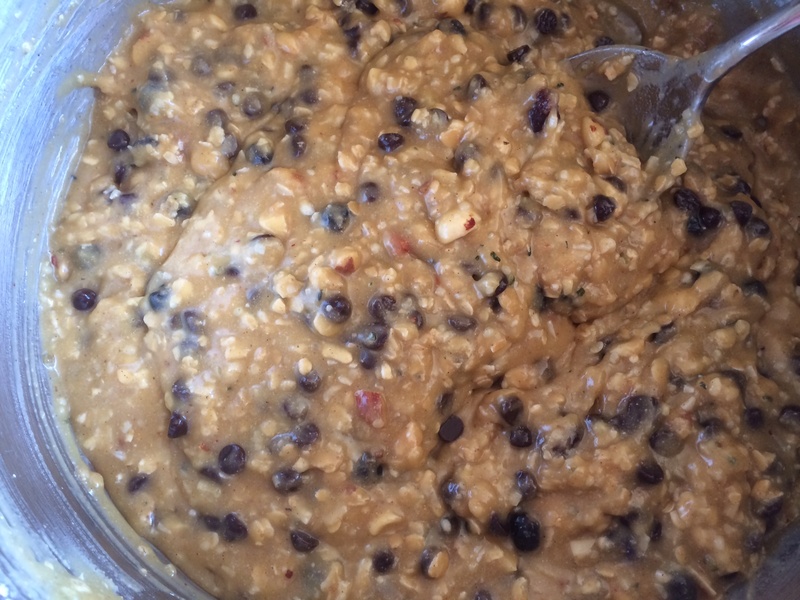 Shared on the Plant Based Pot Luck Party, Live Laugh Rowe, A Glimpse Inside, Real Food Fridays, Gluten Free Homemaker and the Nourishing Gourmet. I have not been shy about my love for the The Oh She Glows Cookbook: Over 100 Vegan Recipes to Glow from the Inside Out cookbook. Every thing I have made from it has been absolutely delicious so when it came time for me to host book club, I knew exactly where I was going to search for a recipe to serve for dessert. Our book club is fairly simple and until the last meeting not very focused on the book. If you are the hostess, you are responsible for choosing the book and serving wine and dessert. Until the last book club, we did not spend much time actually discussing the books we had read. Most of our time was spent drinking wine and talking about what was going on in each other’s lives. However, with this meeting, we decided the hostess would be responsible for having some questions about the book to help spark discussion. I choose Me Before You: A Novel by JoJo Moyes and printed off a list of questions from the web. This book turned out to be a great choice for our first meeting with questions. It themes were so universal that even the people who had not read the book were able to participate in the conversation. It sparked a lot of conversation about how you live your life and the choices you might make around death. I highly recommend this book. 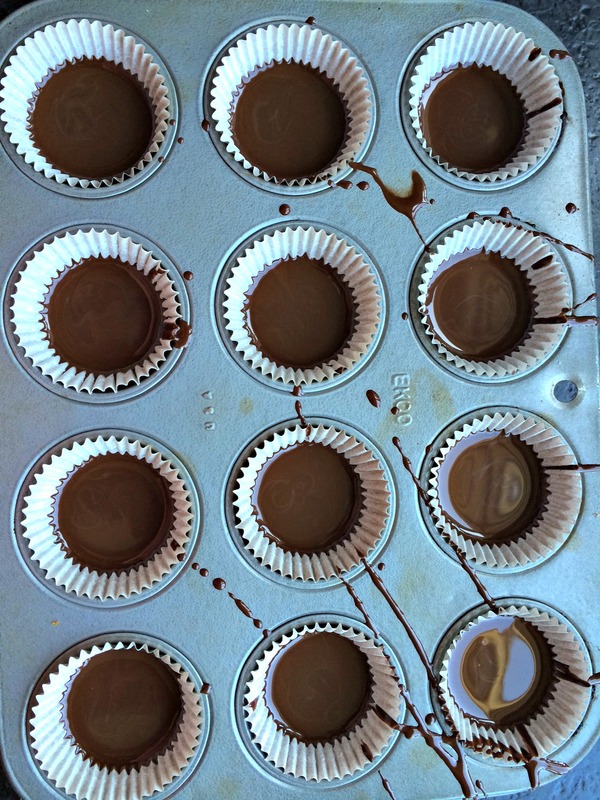 In the original The Oh She Glows Cookbook recipe, it calls for espresso powder to be used in the filling. I was out of espresso powder so I decided to omit it from the recipe. I am sure it would be super tasty with the espresso powder but I thought it was very yummy and decadent without it. Even though this dessert is dairy and gluten free, it still wowed everyone at book club. It does, however, take a bit of planning because you need to soak the cashews for at least 4 hours (and overnight is even better) before you can make the filling. This planning is well worth the end result!! 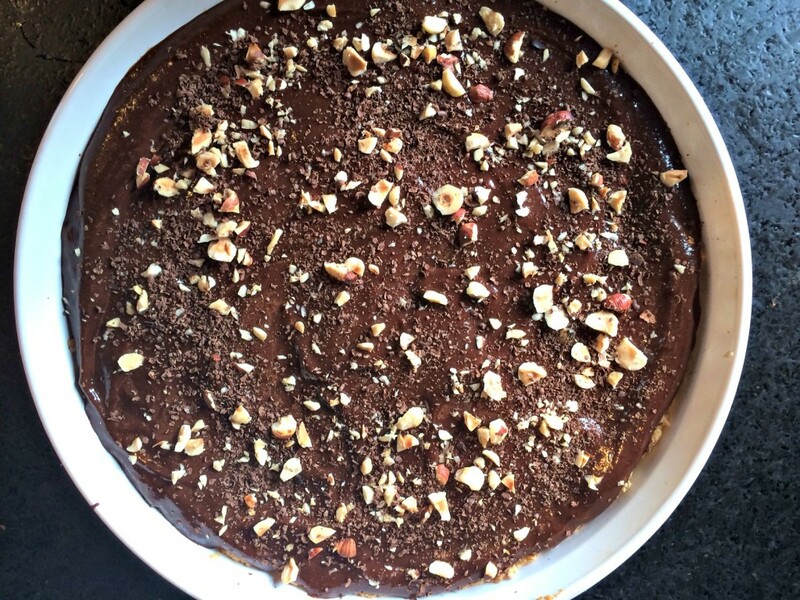 Some of the yummy ingredients that make up this torte. To make the crust, you combine the hazelnuts, coconut oil, oats and maple syrup in a food processor and pulse until you get a coarse crumb. This coarse crumb is then pressed into the bottom of a nine inch round pan and baked for about 10-13 minutes. Crust before being pressed into the pan. After removing the crust from the oven, allow it to cool before adding the filling. I put all the ingredients for the filling in my Nutri Bullet and gave them a whirl. I had to stop multiple times to scrap down the sides and add a little almond milk. The Nutri Bullet worked awesome to turn those nuts, chocolate and other ingredients into a smooth, creamy, yummy filling. Filling mixture after being blended together. Preheat oven to 350 degrees and lightly grease a 9 inch pie dish with coconut oil. In food processor, grind the hazelnuts into a coarse crumb. Add the maple syrup, oat flour, salt and coconut oil until the dough starts to stick together. 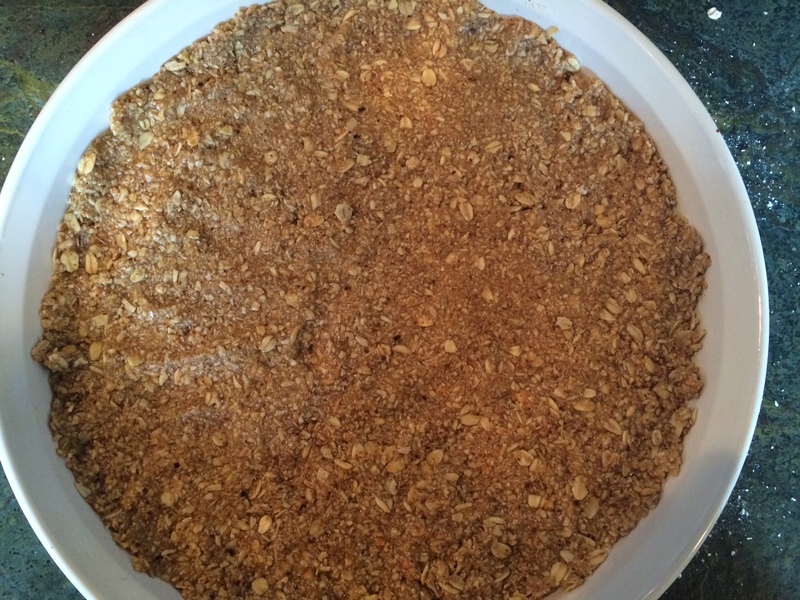 Add oats and process until begin to break up but you can still see them. Press mixture into the pie pan. Allow crust to cool while you make the filling. Place cashews and all other filling ingredients in your blender. Process the filling on high. Stopping to scrap the sides or add almond milk as needed to keep the blender moving. Once your filling is completely smooth, pour it into the cooled pie crust. Smooth filling so it evenly covers the crust. 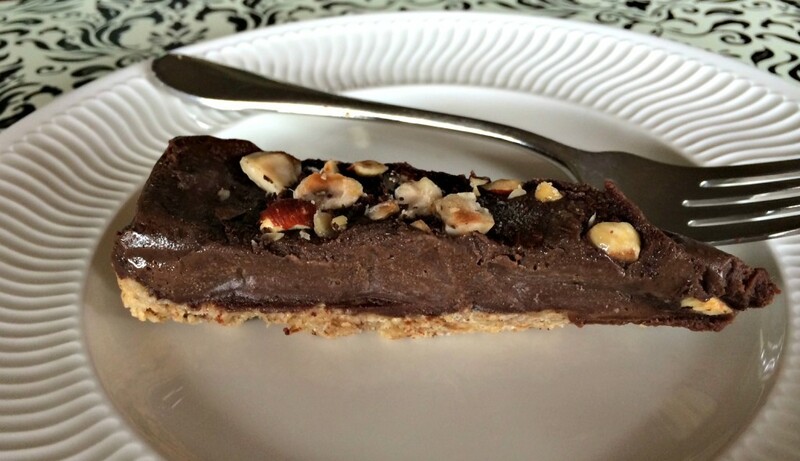 I garnished my pie with shaved dark chocolate and chopped hazelnuts. You can skip the garnish all together or add whatever ingredients appeal to you. Put uncovered pie in a flat spot in your freezer and freeze for a few hours. After a few hours, cover pie with foil and freeze for a minimum of 4-6 hours before serving. When ready to serve, remove pie from freezer about 10 minutes before slicing. To store pie, cut in individual slices, wrap in foil and keep in the freezer. This pie is really very pretty sliced. (I know this pictured doesn’t do it justice.) Unfortunately, my kids got a hold of the pie before I could cut a nice slice and take a picture of it. Just one more piece of evidence about how delectable this pie is! Finished chocolate cherry hazelnut bark. As you may have guessed from reading my blog over the last few months, I do love dark chocolate. In fact, in moderation, it is one of my favorite foods. I am always thinking about ways to incorporate it into my diet. 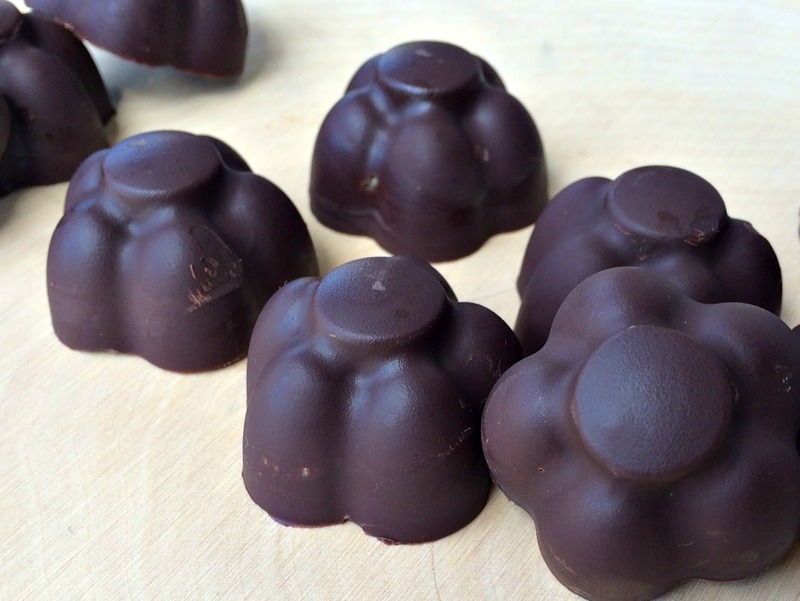 (Read more about the benefits of dark chocolate here.) When I was little, my mom use to make candy barks for the holidays. Her bark involved making an amazingly yummy toffee and then covering it in chocolate. This seemed like more steps than I was prepared for today so I decided to try a bark that felt a little less complicated. 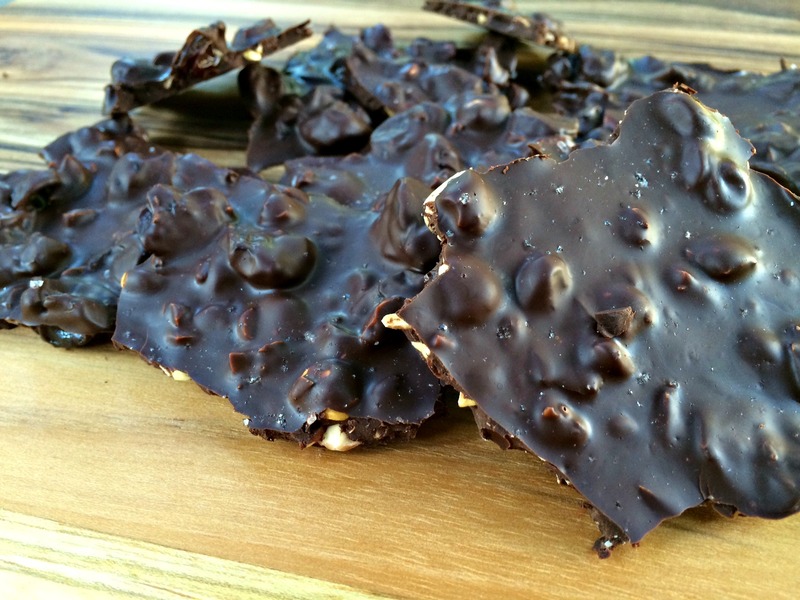 I already had the four ingredients for this bark in my house so it felt like a no brainer to combine them to make a tasty treat. Here are the cherries and nuts all ready to be added to the melted dark chocolate. I roughly chopped the nuts but you can make them as fine as you want depending on your preference. 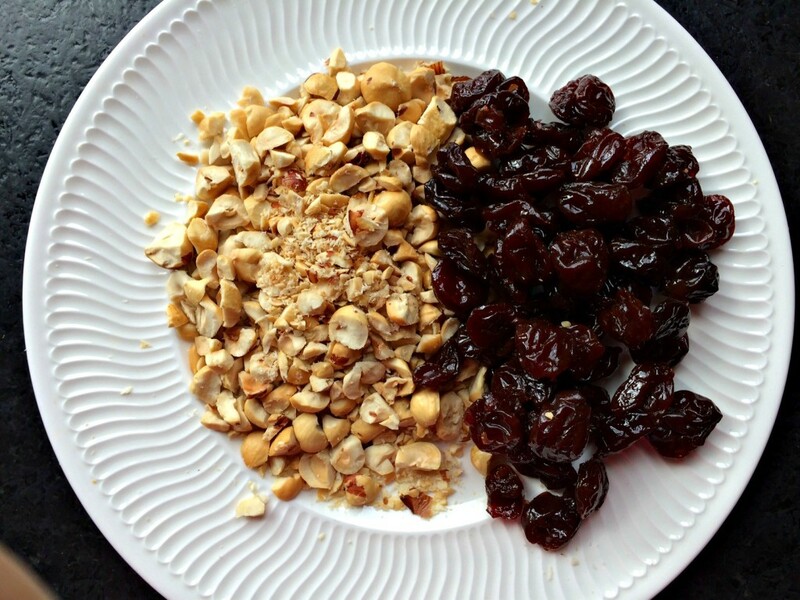 Chopped hazelnuts and dried cherries. Even though I used ingredients I already had in my house, I was so excited because for my birthday, I received a cookbook called Nuts in the Kitchen by Susan Herrmann Loomis with all sorts of recipes about cooking with nuts. In reading the book, I was intrigued by all the benefits offered by each specific nut. I live in Oregon whose state nut is the hazelnut. Hazelnuts are everywhere and so delicious. In her book, Susan points out that hazelnuts “contain some folate (or vitamin B9) which helps the body make new protein and red blood cells…Hazelnuts also contain generous amounts of copper and manganese.” Dried cherries, one of the other ingredients in this recipe, also provide a good source of copper. Their tart- sweet taste also offers the benefits of Vitamin A and Vitamin C. (And of course, don’t forget all the benefits of dark chocolate.) 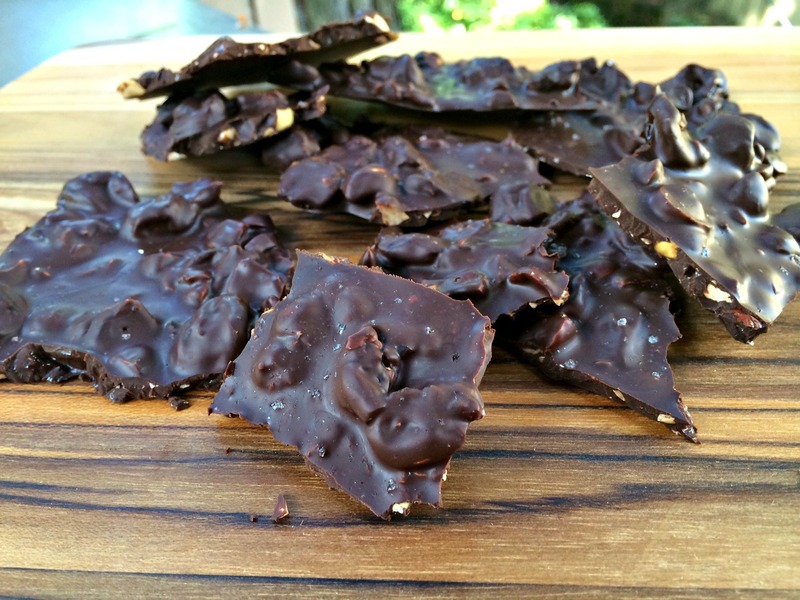 I hesitate to call this bark a candy because there are so many benefits to eating it!! Finished dark chocolate, cherry and hazelnut bark. Melt dark chocolate in double broiler on the stove. While melting, chop nuts to desired size. Line pan with parchment paper. 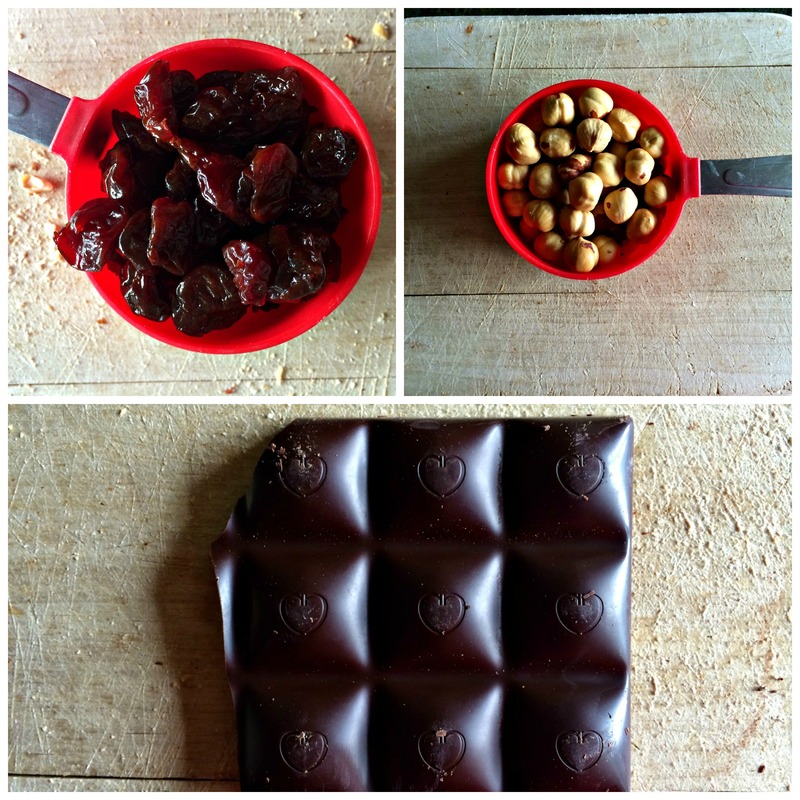 When chocolate finishes melting, fold in cherries and nuts. Pour chocolate mixture onto parchment cover pan. Grind salt on top if using. Let sit out for at least 2 hours or until hard. Break into bite sized pieces. A couple of hints: This bark was packed with nuts and cherries, if you prefer a higher ratio of chocolate to mix ins, I would either melt more chocolate or reduce the amounts of the cherry and nuts. Also, next time I make this, I will be a little more generous with the salt. It is sooo yummy with the sweetness of the chocolate that I think a little more would be nice. 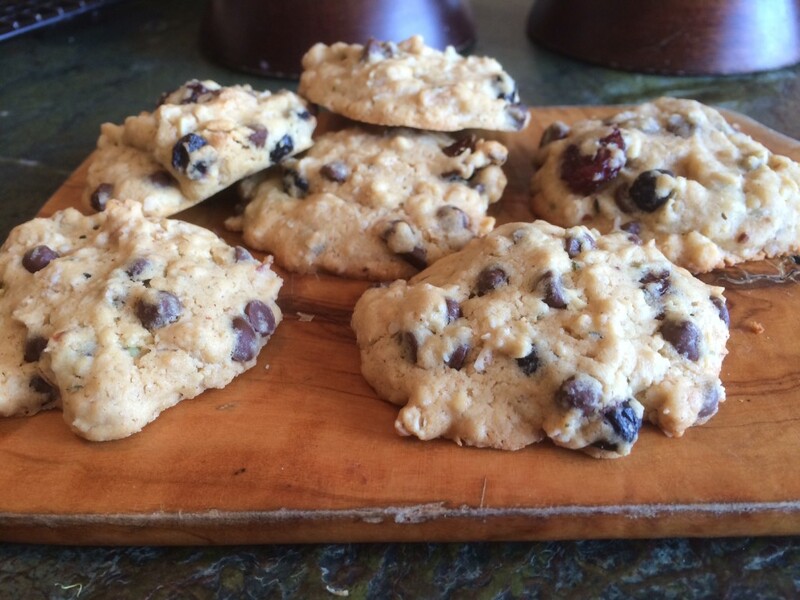 This recipe lends itself to lots of experimentation. I am already thinking of potential ingredients for the next round. What are your favorite ingredients in candy? 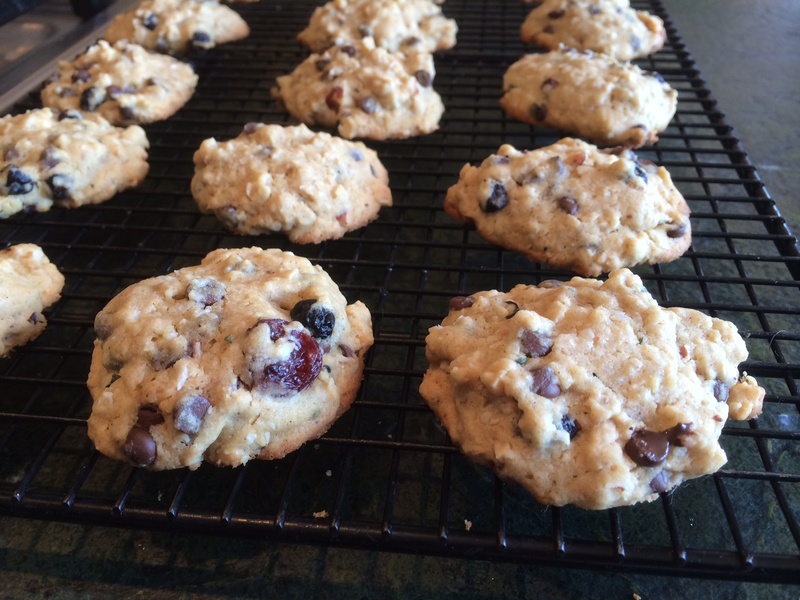 Post shared with A Glimpse Inside, Homespun Oasis, Gluten Free Homemaker and Live laugh Rowe. A prescription to eat chocolate? It sounds to good to be true but it may just become a reality in the future given the surprising benefits the medical community is finding about consuming dark chocolate. A recent German study found that people with mild high blood pressure who ate a daily dose of dark chocolate saw a significant drop in their blood pressure. Their counterparts, who ate a similar amount of white chocolate, saw no drop in blood pressure. Both groups adjusted their total daily calorie consumption to account for the added chocolate calories. An Italian study divided people into three groups. The first group received 100 grams of dark chocolate, the second group had 100 grams of dark chocolate with a glass of whole milk and the third group received 200 grams of milk chocolate. The study found that the people who ate dark chocolate by itself , showed the highest level of antioxidants in their blood. 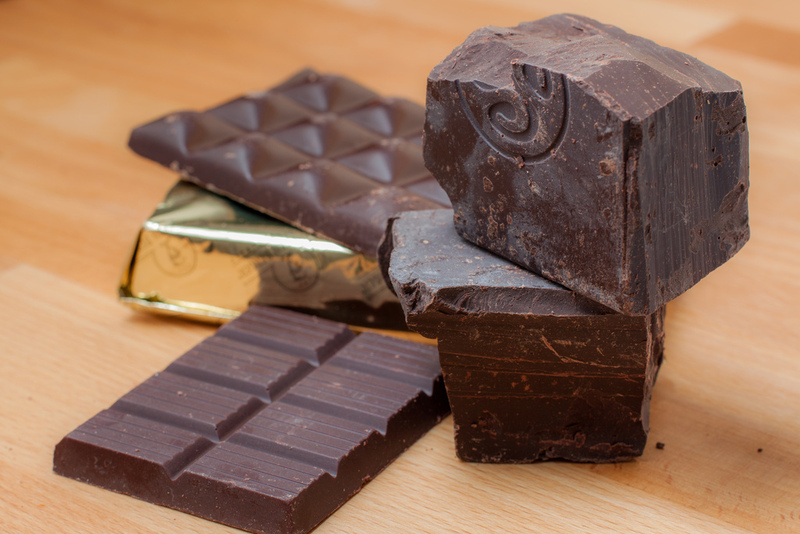 Dark chocolate is loaded with the anti-oxidants polyphenols, flavanols, catechins, among others. These anti-oxidants are excellent at fighting free radical damage and have also been found to lower oxidized LDL (bad) cholesterol. Another recent study found that certain “good” bacteria in the stomach called Bifidobacterium and lactic acid bacteria eat dark chocolate, ferment it and then release anti-inflammatory compounds that benefit cardiovascular tissue, reducing the risk of stroke. Studies show dark chocolate is also loaded with vitamins and minerals including iron, magnesium, copper, manganese, potassium, phosphorus, zinc and selenium. In fact, some view cravings for chocolate as a sign of a possible magnesium deficiency. 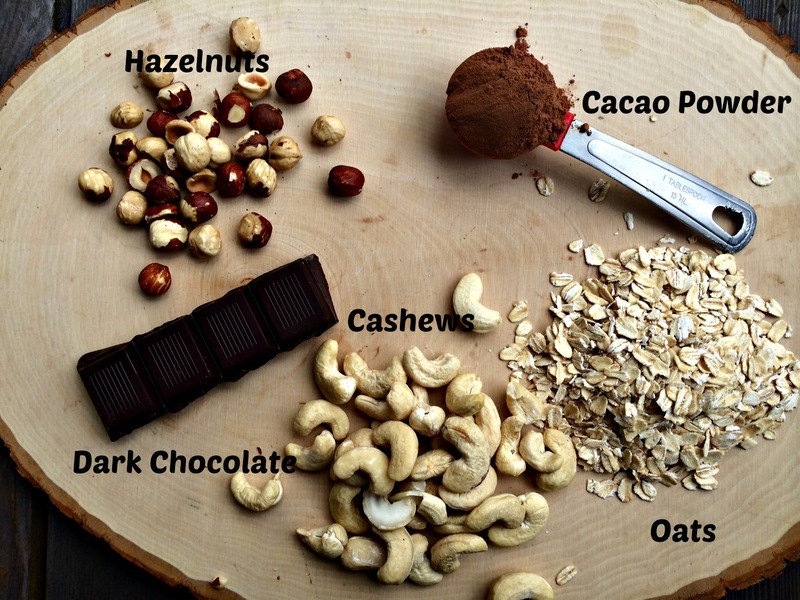 Dark chocolate also offers a fair amount of fiber. 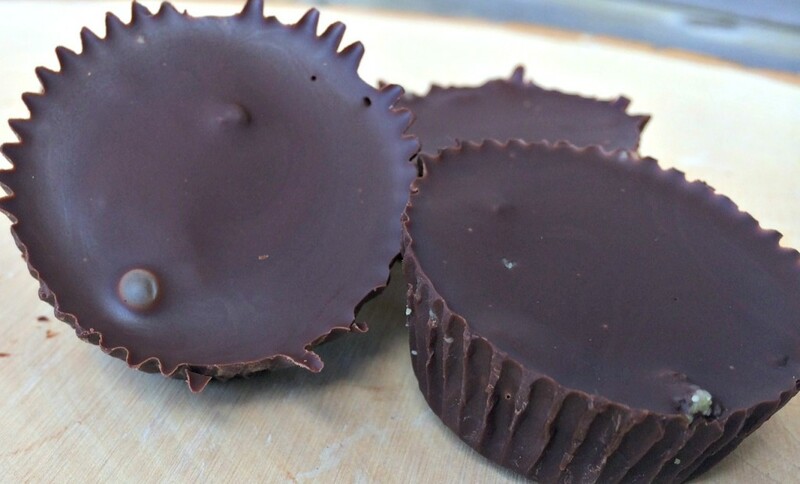 To reap the benefits of chocolate, not just any old chocolate will do. You must eat dark chocolate which is at least 70-80% cocoa content and even with all these benefits, moderation is key. Chocolate is still a high calorie food with some added sugar. (Although, the higher the cocoa content, the less the sugar.) Look for a good organic brand to get your daily fix. One to two squares of dark chocolate savored each day is all you need to reap these health benefits. 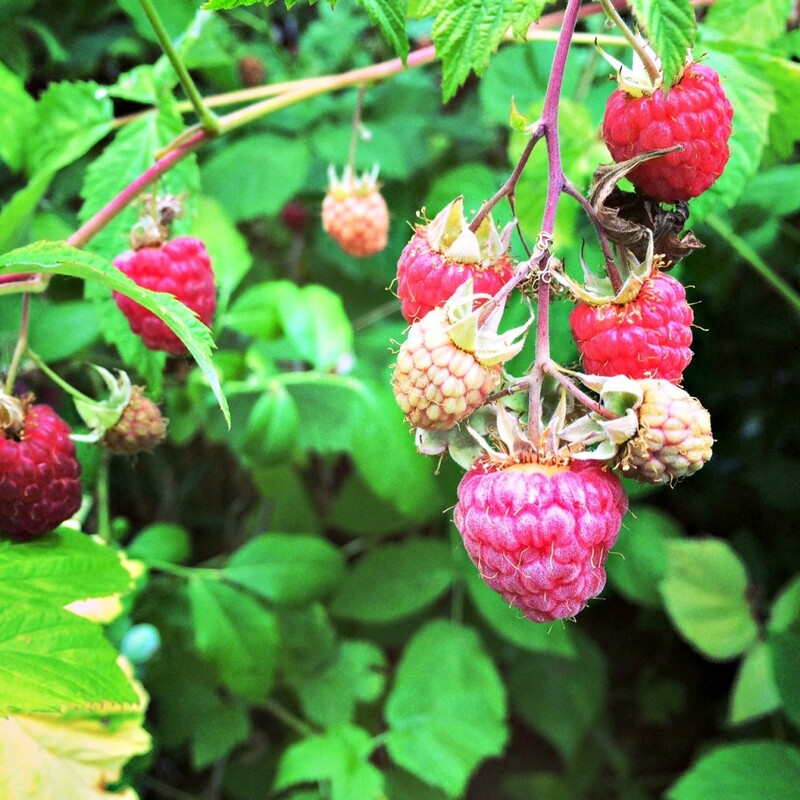 This post was shared with Richly Rooted, Urban Naturale, Real Food Forager, and Natural Living Mondays. All yummy and ready to eat. This is one of those stories of a very trying day in the kitchen. You know, one of those days were nothing seems to go exactly as you plan. 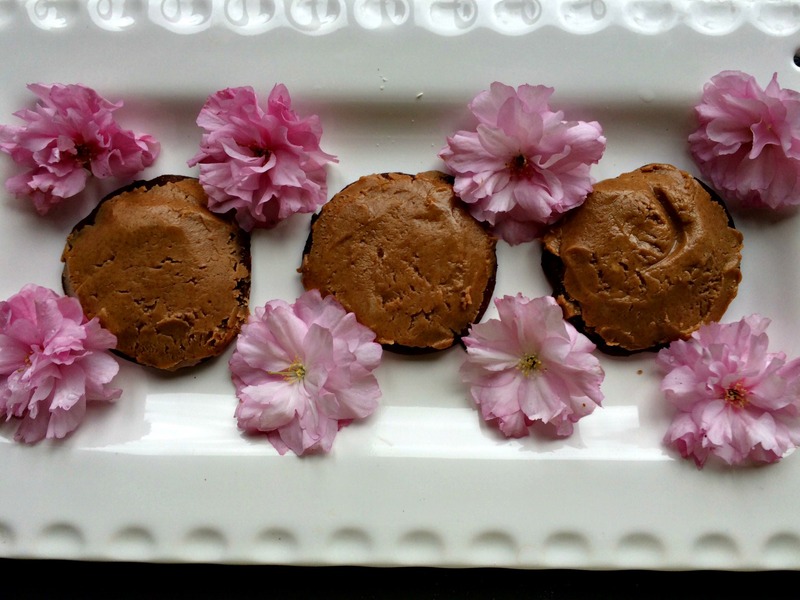 I originally intended to make some chocolate peanut butter flower sandwiches like I saw on Gluten Free Homemaker but they were too ugly to share. 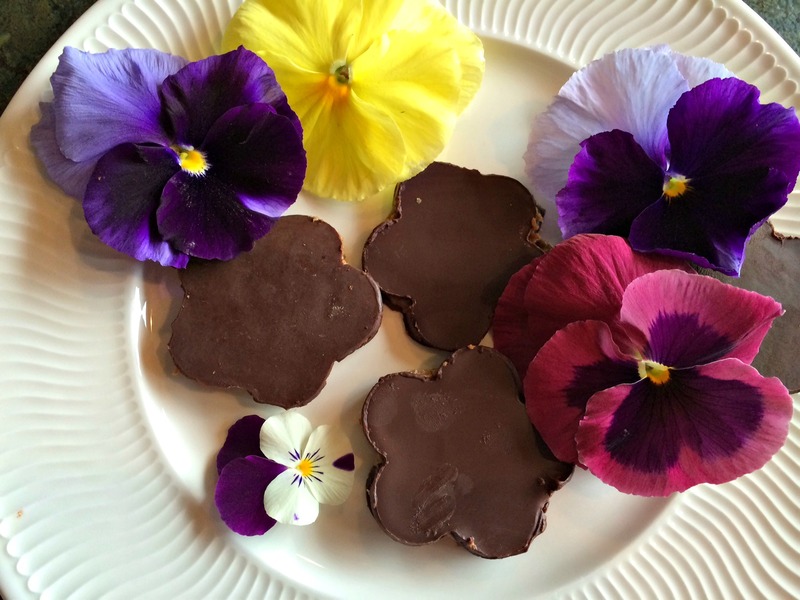 I attempted to tweak the recipe from Gluten Free Homemaker but the coconut oil I used made the chocolate flowers start to melt as soon as you touched them. They tasted super yummy but looked like a disaster. 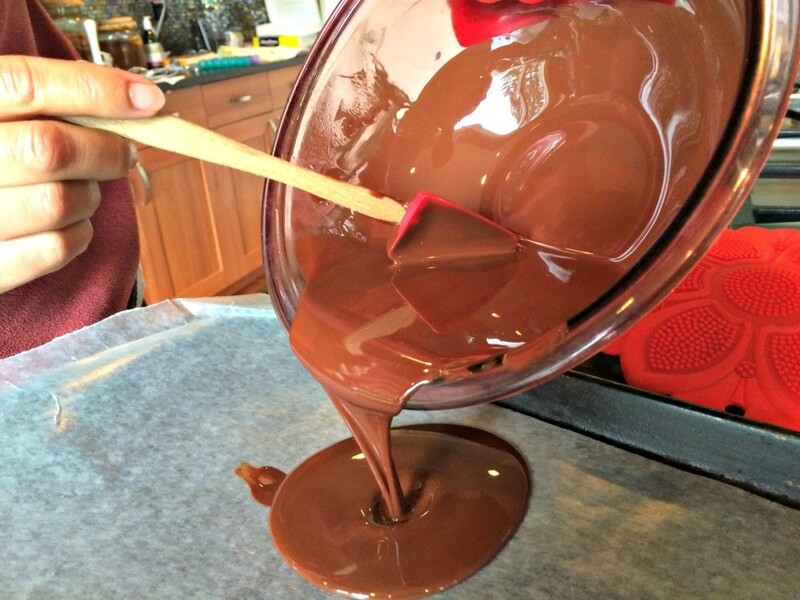 After melting and pouring two whole bars of delicious dark chocolate. 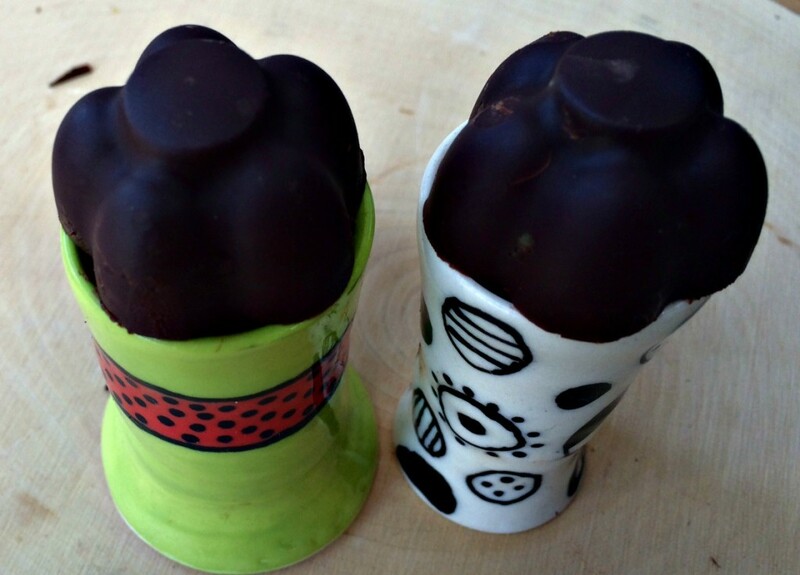 Dark chocolate and coconut oil. And then cutting out all these flowers. Unfortunately, it was hard to keep the chocolate from melting any time you worked with it and as you can see from the picture above, it showed every possible fingerprint. The boys sure liked the mess ups but I still had a bowl full of the almond butter .filling. When I tasted it, I thought it would be great as a frosting on a chocolate cookie so I began searching for recipes. 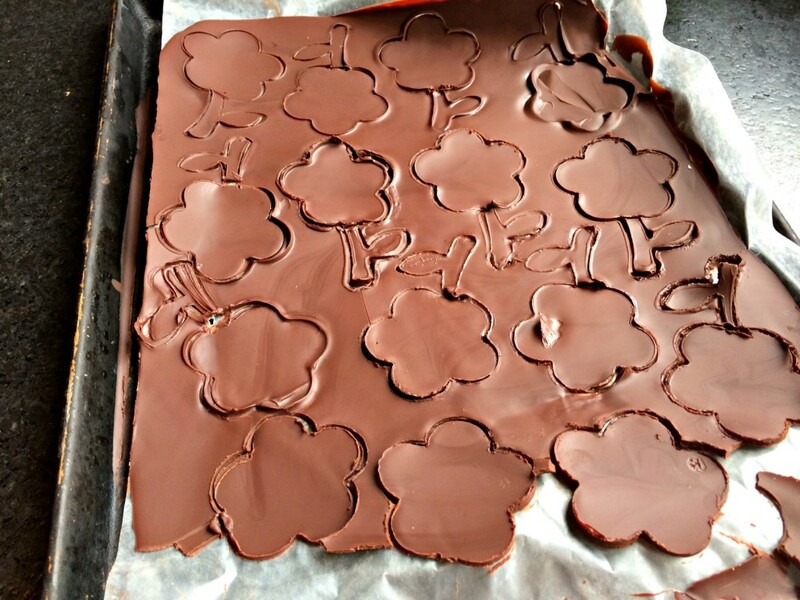 I found a great option on the blog Chocolate Cover Katie. 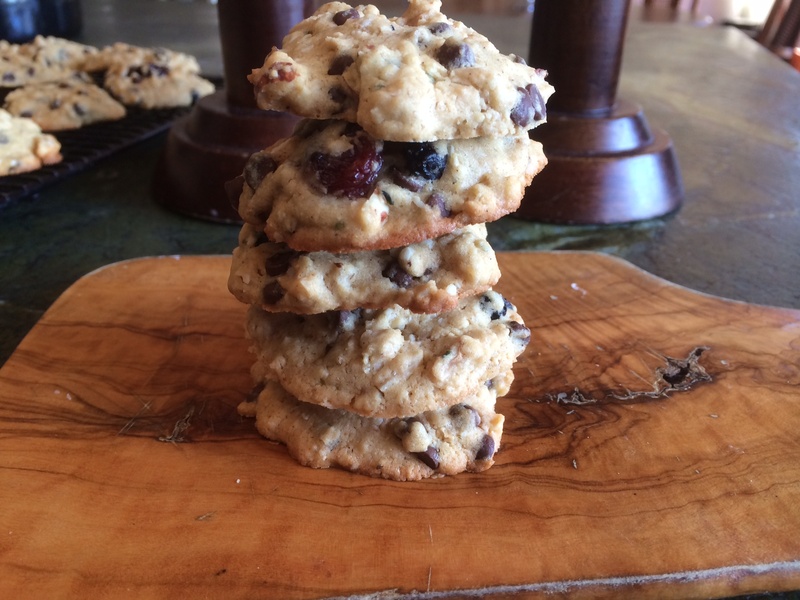 However, the cookie part of this recipe also proved to give me some challenges. Dough all mixed up and ready to go in the fridge. 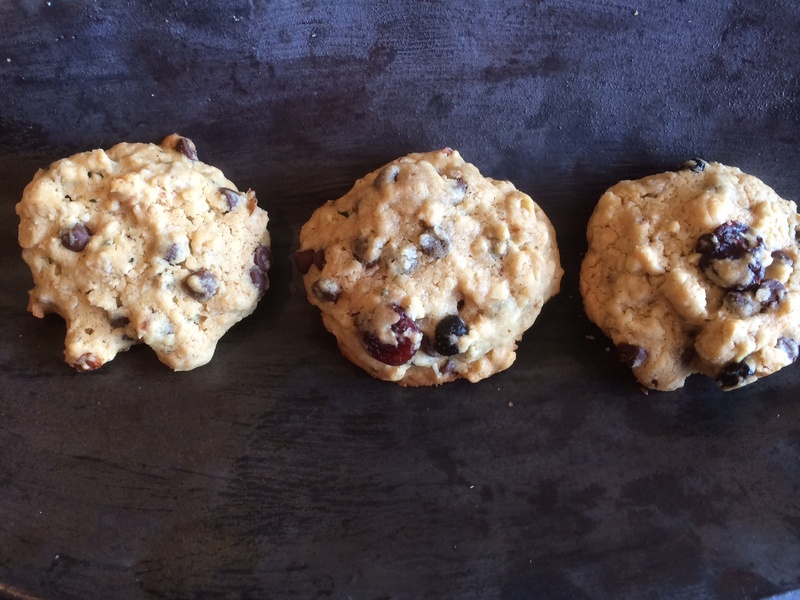 Originally, I was going to roll out the dough and cut the cookies out into perfect circles. 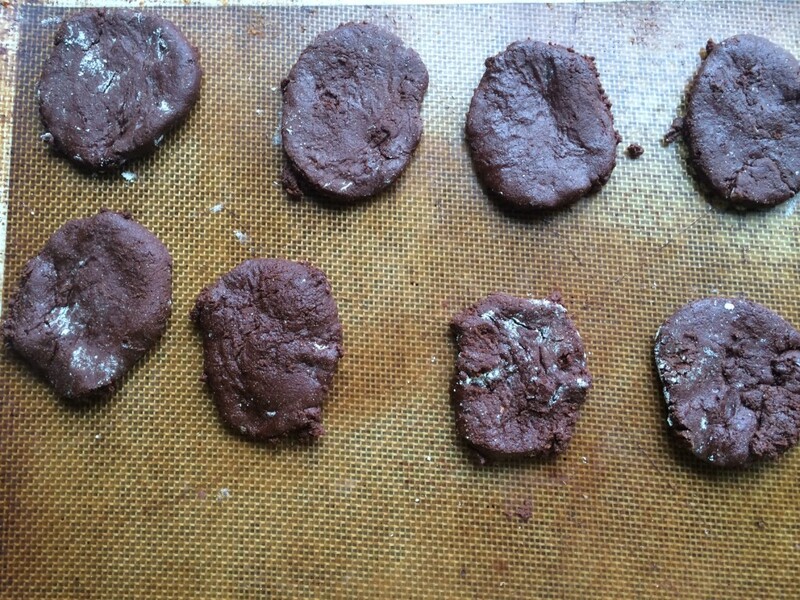 However, as soon as I tried to pick up the cookies and move them to the baking sheet,their shapes got a little funky. Sticky dough all rolled out. I decided it would be easier to transfer the cookies that moved easily to the baking sheet without changing shape too much and to take the remaining dough and scoop out clumps which I then smushed with the back of a fork. I figured it wouldn’t matter too much how pretty they were because they would be covered with almond butter frosting. Cookies ready to go in the oven. I was right! 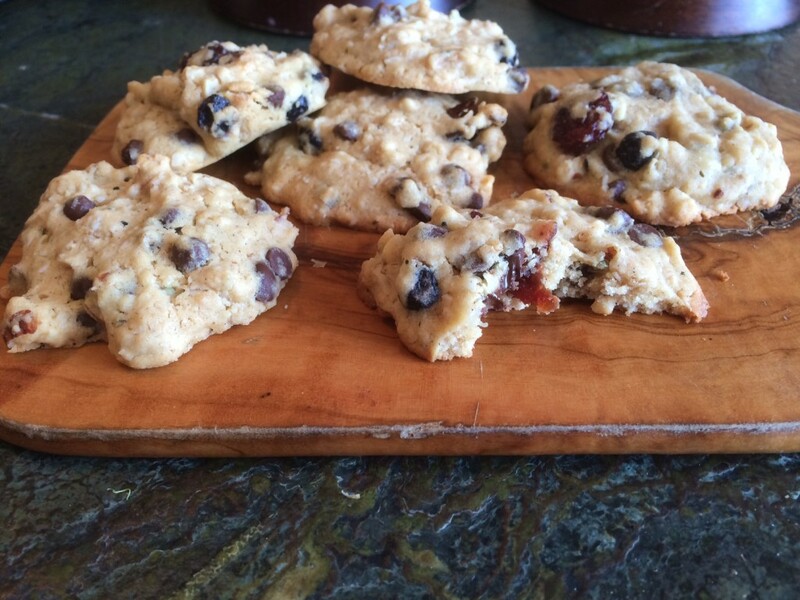 Even though these cookies didn’t look to pretty, they sure tasted good. Finished cookies ready to be devoured. 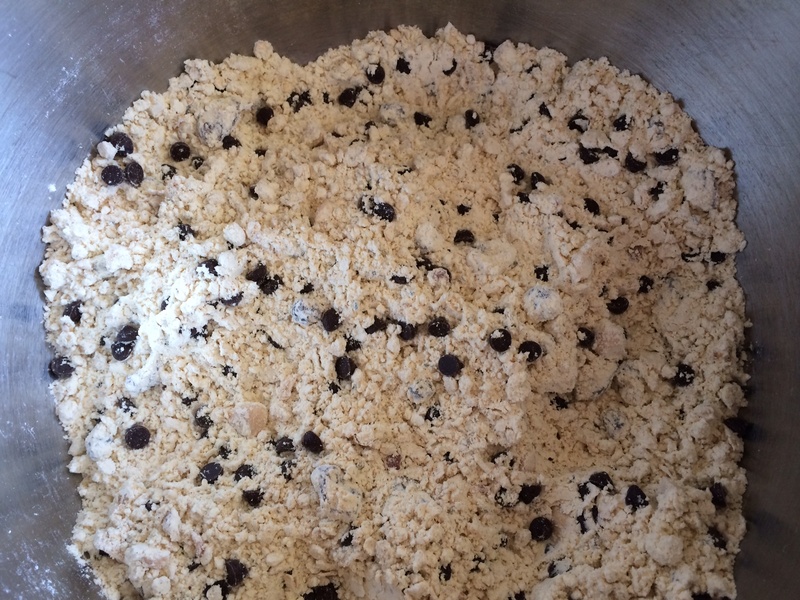 Mix all the dry ingredients for the cookie into a bowl. Combine wet ingredients in a different bowl. Combine both bowls until well mixed. 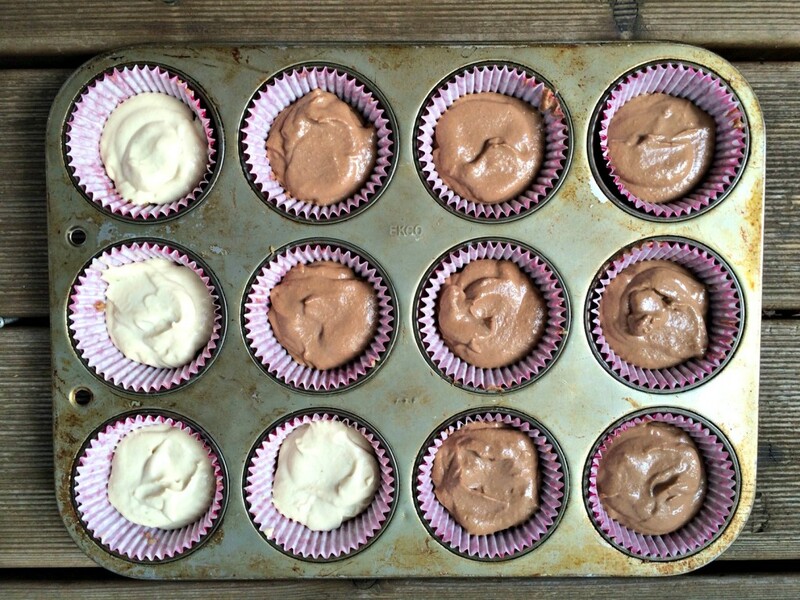 While cookie dough in the fridge, combine all ingredients for the frosting. 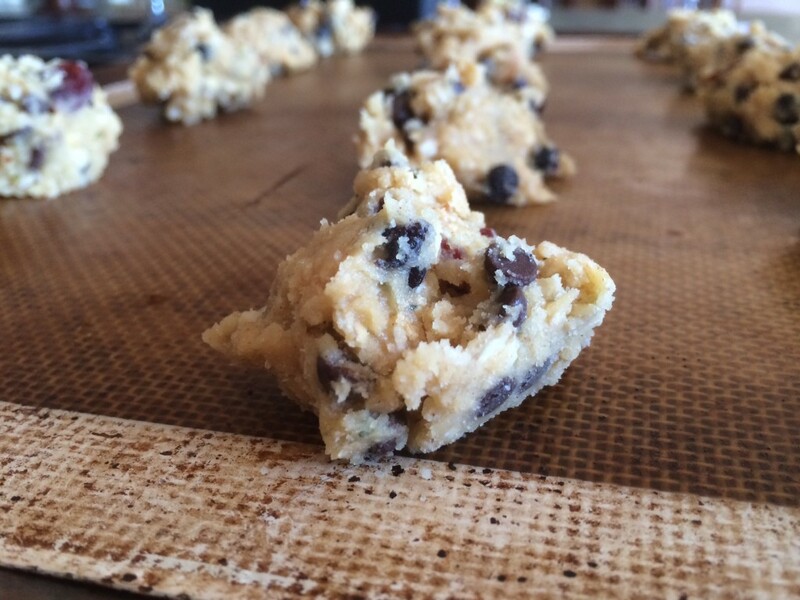 Scoop out about 1 tbs of dough for each cookie. Bake at 300 for about 13 minutes. Frost with almond butter frosting. What cooking disasters have you had that you salvage into a tasty treat? This post was shared on The Idea Room, Skip to My Lou, Gluten Free Homemaker, Natural Living Mamma, Homespun Oasis and Food Renegade.